Orius niger, from Raupach et al. (2014). The Anthocoridae, flower bugs, are a group of small bugs that mostly feed on insect eggs or haemolymph from other insects. They are characterised by the presence of a cuneus in the hemelytron, with the hemelytral membrane usually being veinless, the presence of ocelli, and an apparently three-segmented labium. Most species engage in haemocoelic insemination, with the exception of the subfamily Lasiochilinae (Carver et al. 1991). [C61] Carayon, J. 1961. Hemiptera (Heteroptera): Anthocoridae. In: Hanström, B., P. Brinck & G. Rudebeck (eds) South African Animal Life: Results of the Lund University Expedition in 1950–1951 vol. 8 pp. 533–557. Almqvist & Wiksell: Uppsala. [G89] Gestro, R. 1889. Viaggio ab Assab nel Mar Rosso dei signori G. Doria ed O. Beccari con il R. Avviso «Esploratore» dal 16 Novembre 1879 al 26 Febbraio 1880.—IV. Coleotteri. Annali del Museo Civico di Storia Naturale di Genova, Serie 2a , 7: 5–72. [KU07] Khanjani, M., & E. A. Ueckermann. 2007. Natural enemies of the walnut pest Aceria tristriatus (Nal.) (Acari: Eriophyidae) in western Iran. In: Morales-Malacara, J. B., V. M. Behan-Pelletier, E. Ueckermann, T. M. Pérez, E. G. Estrada-Venegas & M. Badii (eds) Acarology XI: Proceedings of the International Congress pp. 451–453. Instituto de Biología and Faculdad de Ciencias, Universidad Nacional Autónoma de México, Sociedad Latinoamericana de Acarología: México. [WS07] Walzer, A., & P. Schausberger. 2007. 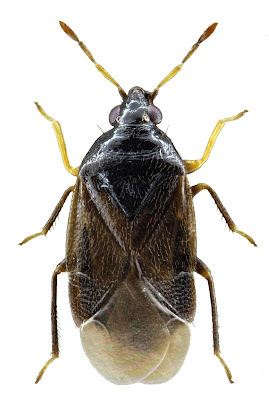 Key factors of intraguild predation among Phytoseiulus persimilis, Neoseiulus californicus (Acari: Phytoseiidae) and Frankliniella occidentalis (Thysanoptera: Thripidae). In: Morales-Malacara, J. B., V. M. Behan-Pelletier, E. Ueckermann, T. M. Pérez, E. G. Estrada-Venegas & M. Badii (eds) Acarology XI: Proceedings of the International Congress pp. 645–648. Instituto de Biología and Faculdad de Ciencias, Universidad Nacional Autónoma de México, Sociedad Latinoamericana de Acarología: México. [WT91] Wilson, L. T., P. J. Trichilo, D. L. Flaherty, R. Hanna & A. Corbett. 1991. Natural enemy-spider mite interactions: comments on implications for population assessment. In Dusbábek, F. & V. Bukva (eds) Modern Acarology: Proceedings of the VIII International Congress of Acarology, held in České Budĕjovice, Czechoslovakia, 6–11 August 1990 vol. 1 pp. 167–173. SPB Academic Publishing: The Hague. [W77] Woodward, T. E. 1977. 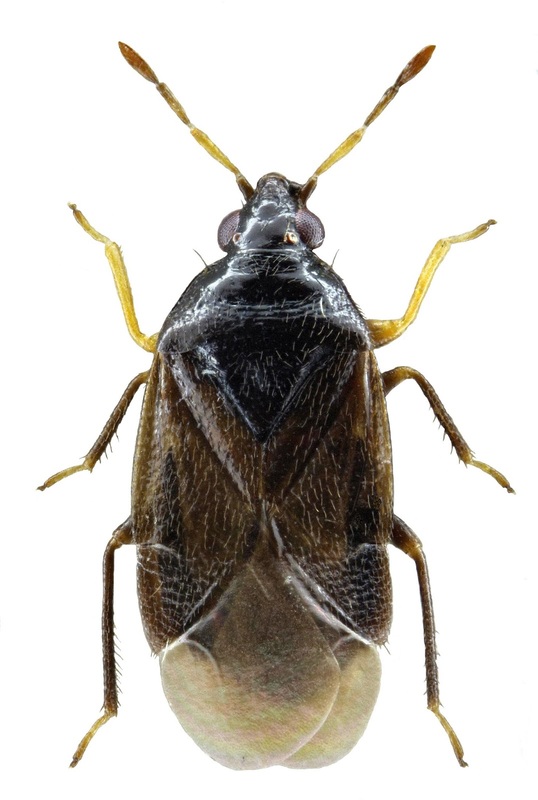 The occurrence of Almeidini (Hemiptera: Anthocoridae) in Australia, with the description of a new genus. Systematic Entomology 2: 255–260. Last updated: 30 January 2019. I worked for the late Tom Woodward as a research assistant on Anthocoridae. Why don't you list any of his (and Tony Postle's) papers or species like Orius heterorioides Woodward & Postle, 1986 or Australmeida derricki (Gross, 1954)? I simply wouldn't have gotten to them yet; thanks for bringing them to my attention. I do update these pages over time; keep an eye on the "Recently Updated Posts" list to the right.